The property has lots of character and a lovely cozy feeling. The property has two bedrooms and one bathroom. On the ground floor is the kitchen, living and dining room and the bathroom which is all in open space. The main entrance leads directly into this room but there is also another door leading out to the garden. Up stairs is the bedrooms which are good enough sizes and will fit double beds easily enough. Next door is an atelier that was used as an art studio but could facilely be linked to the main house, creating more living space. The atelier also has access out onto the garden. The property has a small garden but very easy to maintain. It has a small water tank that has been converted into a swimming, perfect for cooling off in the summer. This property is ideal for anyone looking for an easily maintainable property or a lock up and leave holiday home. 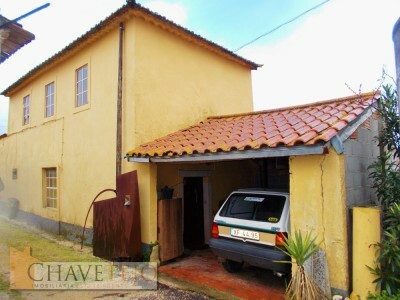 The property is situated in a little village around 7 kilometers away from Tomar. The closest café and amenities would be around 5 minutes away.